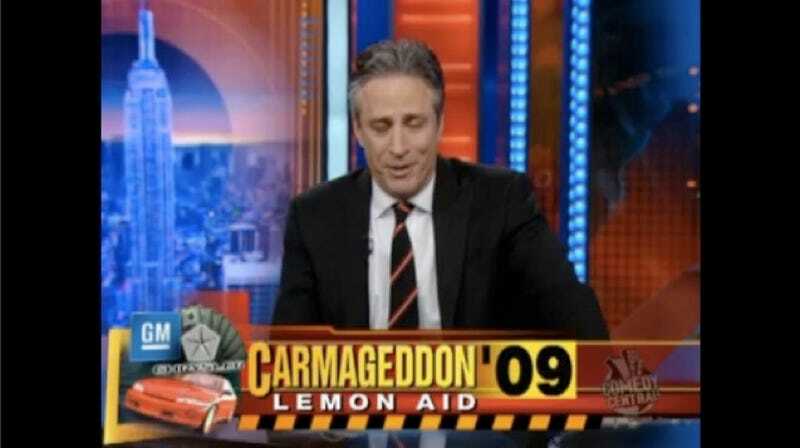 No, Carmaggedon is not the new Carpocalypse™, but we're certain Jon Stewart just didn't want to incite the wraith of Gawker's top-notch legal defense team of Shyster,Shyster&Darbyshire. Don't worry, it's still funny. Especially the whole making-fun-of-the-Sebring thing. That's just hysterical. But in all seriousness Jon, watch out, those lawyers at Interplay — they'll mess you up, man.